Featuring a wicking high stretch back hand and cutting-edge moulded gel padding on the front, that helps to reduce clamminess while increasing support and grip, the Endura FS260 Aerogel II Mitts deliver the ultimate comfort out on the roads. 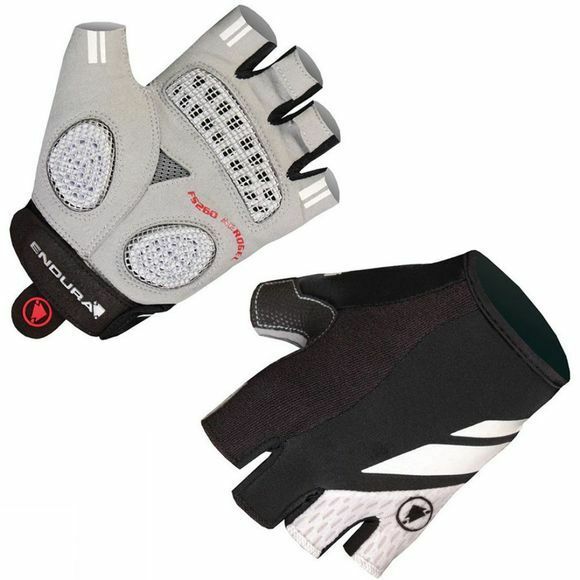 Silicone finger and palm prints give your hands a secure fit on the handlebars, whilst the Velcro® adjuster ensures the mitts are secure on your wrists. Packed full of high end features that are all specifically picked to enhance your rides, the Endura FS260 Aerogel II Mitts are a must have for dedicated road cyclists.